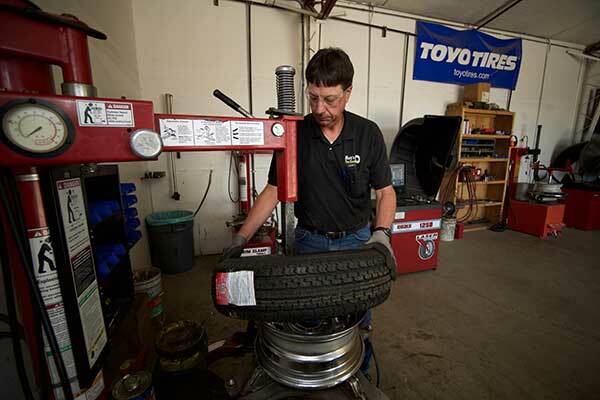 Service can be provided at our truck tire center giving you timely experienced service. By getting to know your needs, we will help you choose the best tire for your vehicle or equipment whether your usage is intermittent locally, high mileage cross-country, seasonal farm equipment, or light duty commercial. Mark’s Tire Service can provide construction tires for loaders, scrapers, graders and articulated trucks. We can also take care of material handling machines like forklifts, reach lifts and cranes. Services available include section repairing, polyfilling, retreading and pressing services. 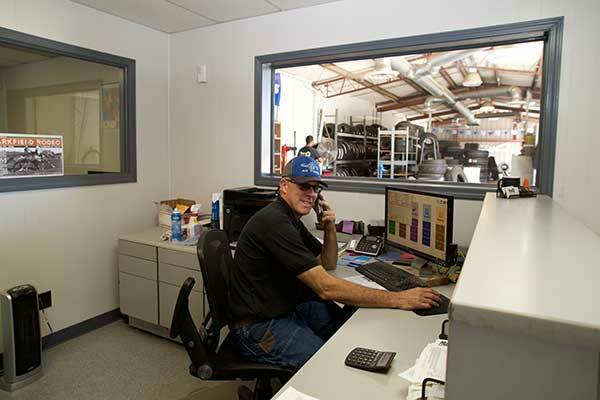 Give us a call and let’s talk about the options available at our service center. Commercial truck tires have a substantial impact on fuel efficiency, downtime, maintenance and eventually the bottom line. We offer most major brands of commercial tires and have tires in every price range. The following are products that we carry. If you have a special request, please let us know so we can accommodate your needs. Mark’s Tire Service can handle your wheel needs from sourcing new steel or aluminum truck wheels, used wheels, wheel fabrication, polishing and refinishing. Call us with your needs. Having been raised on a family farm in Dinuba California, Mark Jennings not only has an appreciation for agriculture but hands on experience. Understanding that planting before the rain comes or picking when sugar content is optimum are not foreign concepts. 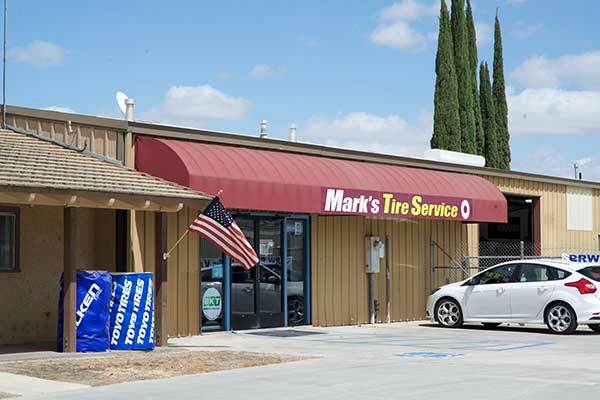 If your equipment is down Mark’s Tire Service can get it up and going and you back on schedule. 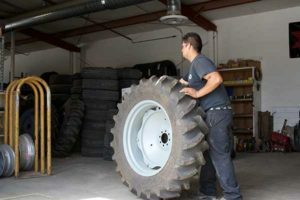 Whether you need harvester tires, implement tires or tractor tires we can handle it. Air pressure plays a critical role in tractor tire performance. Problems like wheel hop, slippage, compaction and casing integrity are all influenced by air pressure. How much air pressure should a tractor tire run? By knowing the axle weights and type of tractor Mark’s Tire Service can determine the optimum air pressure for your machine. Should you run water? If so how much? The answer comes from knowing the axle weights, tractor type, horsepower and field speed under maximum draft. Give us a call and we can discuss options. Tires are a big investment that needs professional installation and maintenance. Our experienced technicians work on farm tires everyday in our shop. Call us and discover how we can help.